With all of the taste of pecan pie in bite-size form, these Pecan Tarts will be your new go-to holiday party sweet. We always host a cocktail party to kick off the holiday season, and it’s one of my favorite nights of the year. I get to catch up with friends and family I haven’t seen in a long time and the night is always filled with good food and lots of laughs. But with so many things on my party prep to-do list, I’m always tempted to buy dessert for the buffet table. One less thing to do, right? 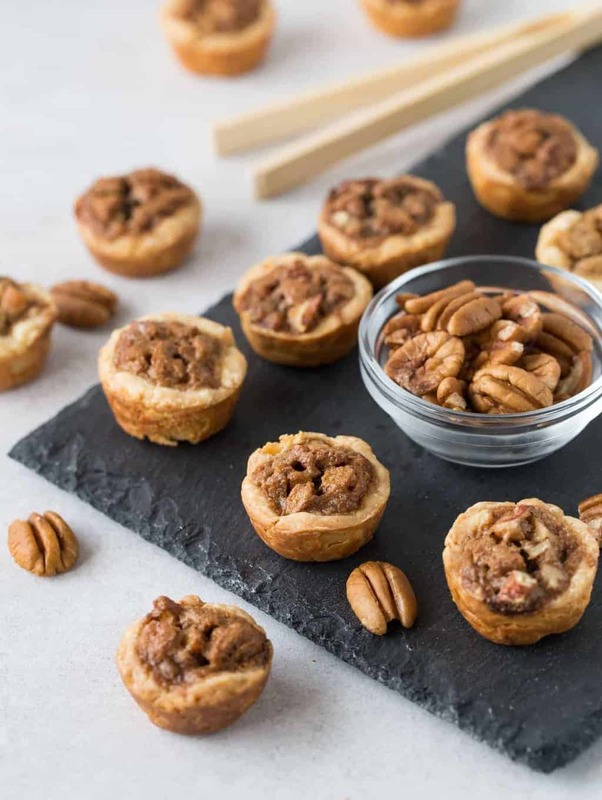 Thank goodness I make these irresistible mini Pecan Tarts instead. 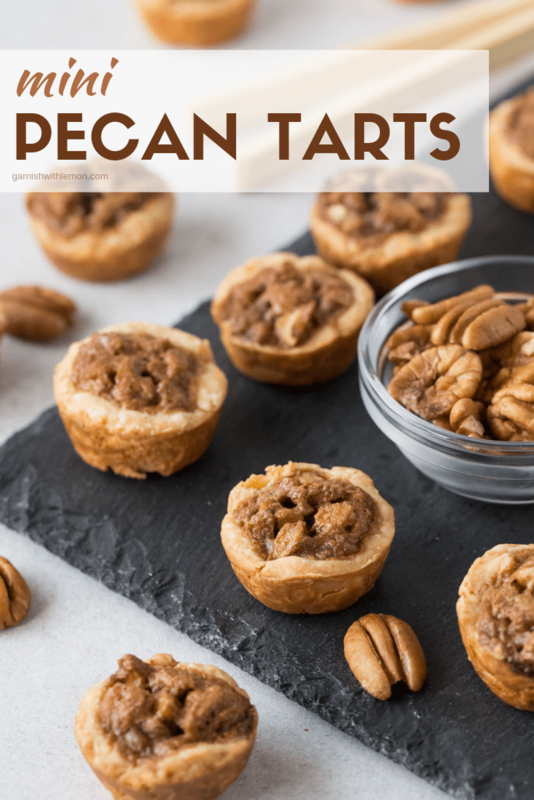 Be warned; these little Pecan Tarts are addicting, and since they are bite-size you can pop them like potato chips. Each bite is filled with rich caramel, crunchy pecans and flaky pastry. 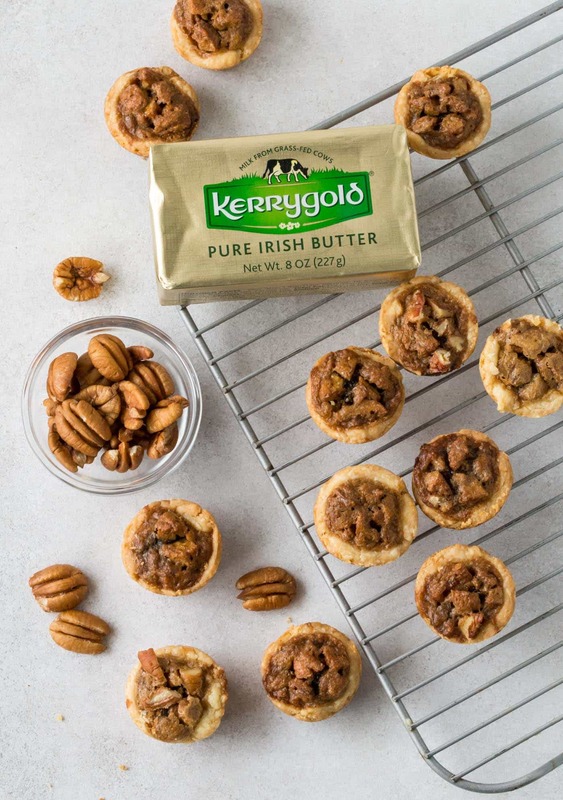 And a double dose of our favorite Kerrygold butter in both the pastry and the filling only adds to their decadent flavor. Tip: These Pecan Tarts can be made ahead of time and are freezer-friendly. Plus these little dessert bites travel well which make them perfect for holiday entertaining. Start your holiday baking early this year with a batch of these Pecan Tarts. One more thing crossed off my to-do list weeks ahead of time!